California has almost 4.5 million adults who are "near completers" — nontraditional students who have some college units but no degree. For the economic and civic future of the state, policy makers and education leaders must consider additional higher education pathways for this large population if we are going to have the future workforce we need to maintain our economic strength. It is well-known that the state faces an estimated bachelor’s degree gap of 1.1 million, as reported by the Public Policy Institute of California, and our public colleges and universities grapple with capacity issues. Even if the University of California, the California State University, and the Independent California College and University segments successfully graduate traditional students (students who enter college immediately after high school) at “full speed”, this threshold simply cannot be reached. To achieve these goals, higher education institutions and state leaders must tap the potential of near completers who have been glanced over in the quest to serve the traditional four-year students. By coming back into the academic fold—applying their previously earned units and experience, and graduating with a bachelor’s degree—these adults can pave a new way for themselves and their families to a lifetime that is more rewarding, both financially and personally. The state will also see an increase in economic productivity, increased state revenues as a result of higher wages, and drops in unemployment. For us in higher education, this is a tremendous opportunity to educate a population of Californians that have so far not been well served with cohesive plan for outreach, engagement, and success. Now is the time to put adult learners front and center too. Most will agree after reviewing the facts that we need to face the bachelor’s degree gap with a focus on getting prior students to graduation; the challenge is how we get there. Adults who are looking at finishing their degree have distinct roadblocks that most traditional students do not have. They must balance family responsibilities with their work life on top of academic demands and financial pressures. Despite the challenges, enrollment for nontraditional students is expected to grow more than twice as fast as the traditional students arriving on our campuses right after high school. How do we smoothen the pathway for this population of students so that they can succeed and also enjoy the California Dream? Financial aid: As the needs and numbers of adult students increase, enrollment outreach and financial aid remains focused on traditional students. In California, there is no financial aid directed specifically at returning adult students, despite the state’s need to increase bachelor’s degree production. California's current Cal Grant program offers grants primarily to traditional students, even though we need to increase the number of college graduates for our ever-changing workforce and economy. The state currently sees a return on investment of six-to-one, meaning for each dollar the state provides in financial aid, the state gets back six. Scholarships or aid of some type to encourage near completers to return to college is a simple step and one that can provide even greater results as we reduce our educational gap. Similar to the existing Cal Grant programs, returning adult students should be able to take this assistance to any of our accredited institutions, both public and private, that best fits the academic and career goals of that student. The number of slots for the Competitive Cal Grant should also be increased to provide additional aid to low-income students, those that would benefit the most from completing their education. Look toward the independent sector: The independent, nonprofit higher education sector is a diverse set of colleges and universities. They include top-tier research universities, liberal arts colleges, faith-based universities, and art and design schools. Many institutions have a focus on serving adult learners, including the accommodation of veterans by translating their applied skills to college units; others have a branch of the main campus that specifically serves adult students, including near completers. Today, California’s independent colleges and universities educate nearly 50,000 adult students (24 years of age and older), full-time and part-time. Nonprofit colleges and universities can serve more of these students who cannot be served in the public institutions. Additionally, we can provide best practices for our colleagues on how to work with adult students’ needs and challenges—engagement, persistence, and graduation in a timely manner. Independent, nonprofit colleges and universities have been a leader in this space and continue to stand at the forefront of utilizing new education techniques. Embracing online education: California independent higher education has been the pioneer in using technology to teach and learn, including online and hybrid education. This is a popular option for nontraditional students because of the flexibility inherent in such a format. It meets the students on their schedule and helps with real-life challenges that arise in an adult learner’s life—demands of the job, child care, parental care, etc. A great example of what success and partnership can look like in this arena is CBU Online, a division of California Baptist University in Riverside. Their Fast Track to Success Program was developed originally with Mt. San Jacinto College and has now grown to 19 community college partnerships with 870 students and just under an additional 900 currently exploring the program. Not only is this program friendly for transfer students with admission guarantees to CBU, the university also provides institutional scholarships to ease the financial burden for adult students to complete their bachelor’s degrees. This can be an example for not only other independent college and universities, but public institutions as well, including the newly envisioned fully online California Community College. As innovation changes our economy and the job market, we must reframe what we consider to be “typical college students” and how they are best served and supported. Automation and artificial intelligence will force workers to retrain and retool; wages across the nation continue to remain depressed for many of them. Higher education—in partnership with the state—needs to emphasize the growing pool of adult leaners to help them succeed in a new economy and to help the state meet its advanced workforce needs and economic potential. AICCU is prepared to meet these challenges head on. 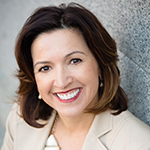 Kristen F. Soares is the president of the Association of Independent California Colleges and Universities (AICCU). AICCU is the organizational voice for independent, nonprofit higher education institutions in California. More information can be found at www.aiccu.edu.